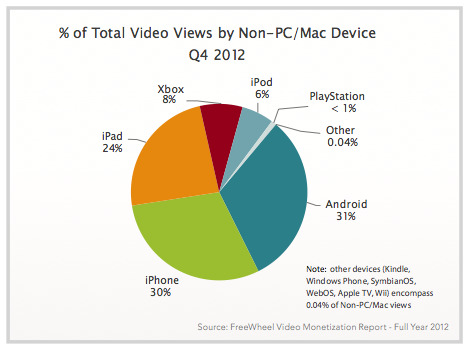 Video monetization firm FreeWheel says that 12 per cent of all online videos viewed in the fourth quarter 2012 were watched on smartphones or tablet computers. The data was presented in their Video Monetization Report. 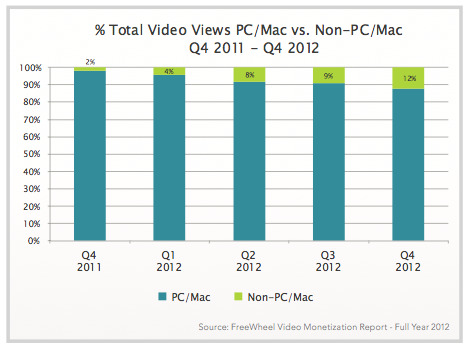 FreeWheel says mobile video consumption was just 2 per cent in the fourth quarter 2011, so mobile enjoyed a 10 percentage point rise. 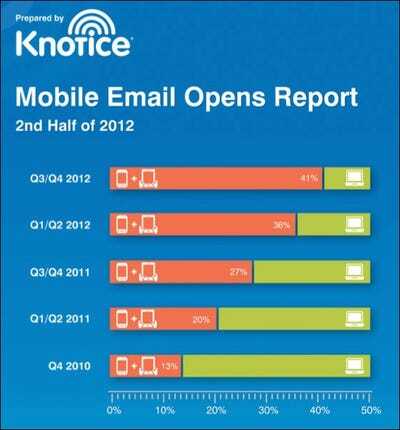 The number of commercial emails opened on mobile devices is expected to be higher than PC-based emails by the end of the year, according to the latest report from digital marketing agency Knotice. More people are shopping on mobile devices than ever before. 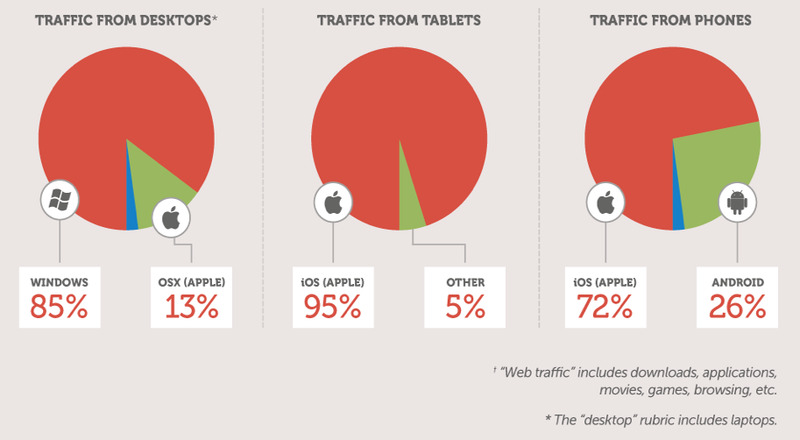 Is your business prepared to satisfy these mobile customers?